Our NEETcoat exhibition at the Subsea Tieback Forum & Exhibition generated a great deal of interest last month, putting us in contact with many potential customers and collaborators. Thank you to everyone who visited our booth! We are currently exhibiting NEETcoat at the Subsea Tieback Forum & Exhibition in San Antonio this week in booth number 4114. The conference lasts until tomorrow, March 24, so make sure to visit our booth to learn more about NEETcoat and even see some demonstrations of our electrothermal coating in action. We are pleased to announce some exciting updates for NEETcoat. As of earlier this year, we have a signed contract in place with Insulation Solutions (through Thermal-Coat Technologies) to launch NEETcoat in roofing and flooring markets in the United States and Canada beginning the first quarter of 2016. In addition, we have marketing agreements in place with Carmen Ventures in Iowa, U.S. and Fullerex in Europe to promote our unique spray-on resistive heating system. We look forward to the new opportunities these arrangements will present us as we continue to spread the word about NEETcoat. 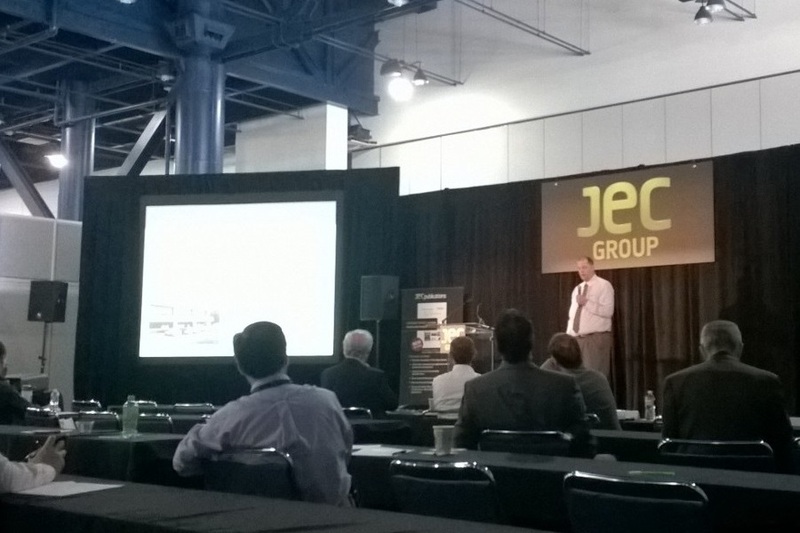 NEETcoat's exhibition at JEC Americas 2015 earlier this month was a big hit! The show gave us the opportunity to speak with many professionals and academics in the composites industry, several of whom followed up with us after the show to learn more about NEETcoat. Thank you to all who visited our booth! NanoRidge will exhibiting NEETcoat next week at the JEC Americas 2015 conference in Houston, TX. The event program can be found here. Come visit our booth and see NEETcoat in action! Our CTO Kyle Kissell will also be giving a keynote speech about NEETcoat on June 4 at 11:45 AM, so make sure to catch that if you attend. If you are unable to attend, check back here after the event to see some photos. Welcome to the new nanoridge.com! We hope you enjoy the new look. Please check out our pages on NEETcoat, TeraCopper, and NanoWire to learn more about our three main projects. We will periodically post NanoRidge-related news updates on this page, such as the Houston Business Journal's feature on our LiteWire product from last year. If you have any questions, please feel free to contact us at tom@nanoridge.com. Thank you for visiting!